The story has the simplicity of folklore, but the straightness of the narrative keeps arriving at moral crossroads. Thus, when Gandalf the wizard (Ian McKellen) turns up at the house of Bilbo Baggins (Martin Freeman), the hobbit in question, and returns the next day with thirteen dwarves, who invite Bilbo to come and steal gold—or, as they believe, reclaim it—from a dragon far, far away, and to receive a share of the plunder, our hero is faced with an elemental choice: stay or go? Rest in the consolatory rhythms of hearth and home, marked out by meals and seasons, or break the pattern and take the unknowable risk? As Gandalf says to Bilbo, “The world is not in your books and maps. It’s out there!”—a sly gibe, which casts an eye not just on hobbitry but on Tolkien, who had fought and seen comrades die in the First World War, and who, from 1926, preferred to ensconce himself in North Oxford, amid the book-lined walls of his own head. The world was in there. Bilbo, of course, takes the plunge, and the merry band sets forth, toward the obstacle course of dangers that Tolkien devised. 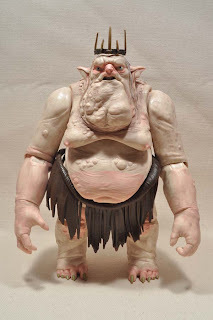 There is a trio of loutish trolls, cannibalistic by choice, but as vulnerable as vampires to the light of day; a huge subterranean fiefdom of goblins, although that is a word we hardly hear in the film, which settles on “orcs,” a less Hogwartian term; and a company of wargs—half wolves, half paparazzi—that crouch and bay at the foot of a pine tree, upon whose boughs the treasure-hunters perch. And there, more or less, the film concludes. If anything, I would have preferred Jackson—who, however noisy his films, has a dash of silent-movie showmanship about him—to be even more unabashed in his melodrama, leaving Bilbo to teeter on the brink. After all, Tolkien himself was a surprising master of brinksmanship, and “The Hobbit,” being infinitely brisker than “The Lord of the Rings,” measures out its plot in narrow squeaks. It is populated largely by child-size men: an ideal conceit, allowing child readers to dream of manly deeds and adult readers to recall, however dimly, what it once meant to have a pulse that raced like a child’s. But there was more to the novel than that—something that squirmed in the murk of its motivations. In “The Lord of the Rings,” the errand of Frodo, though epic in execution, was plain enough: to destroy what would, in the wrong hands, cause irreversible harm. It was like stopping the Nazis from building an atomic bomb. But what the dwarves want, in the pages of “The Hobbit,” is gold, and their lust for it corrodes the quest and tarnishes its valor. That is what lusts do. Tolkien, a devout Catholic, who deplored the vanishing of the Latin Mass, believed in the existence of evil and in the struggle to be delivered from its claws. It is there in every shimmering scale of Smaug, the dragon; deprived by a mouse-quiet Bilbo of a single precious cup, he falls, Tolkien writes, into “the sort of rage that is only seen when rich folk that have more than they can enjoy suddenly lose something that they have long had but never used or wanted.” Ouch. 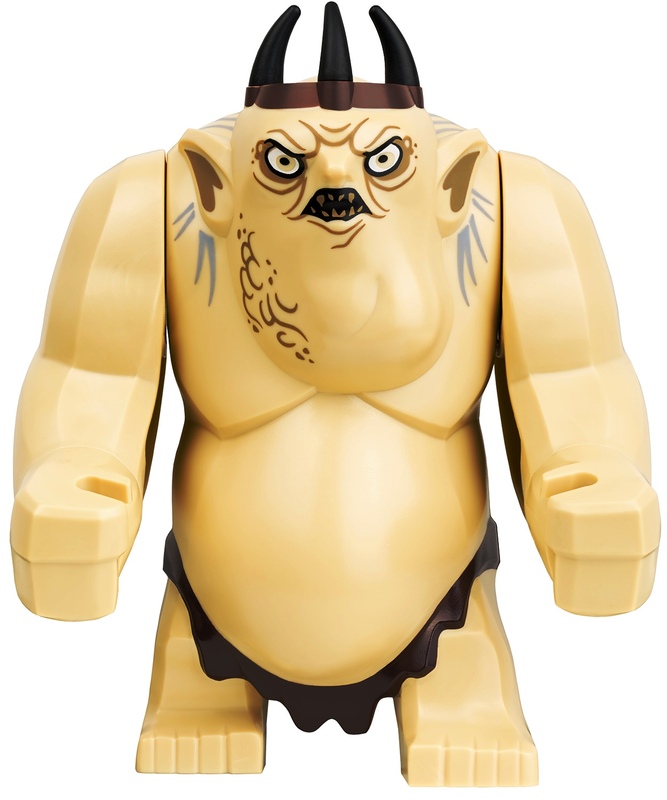 The dwarves, in their small way, are no less possessed, and the joke is that a hobbit, who wishes nobody ill, should help to lead them into temptation. So many twists of the spirit, in such little space. In my old paperback, Tolkien gets the whole thing done in two hundred and eighty pages, nineteen chapters in all. And how far has Jackson travelled, after almost three hours of cinema? The end of Chapter 6. The corrosion has yet to bite. There is much to relish here. Martin Freeman, compact and affable, is a snug fit in the difficult role of Bilbo. He is especially adept at hesitation, cocking his head like a sparrow and speaking hurriedly to others, as if trying an idea out on himself. This makes him an excellent foil—better and less wide-eyed than Elijah Wood was, in “The Lord of the Rings”—to McKellen’s Gandalf, with whose lengthy, growling vowels we are already familiar. 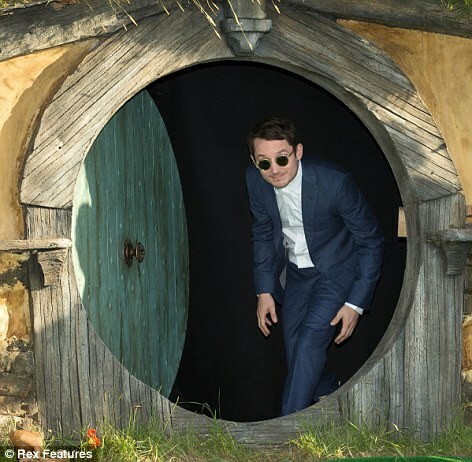 No less welcome is Richard Armitage, scarcely known here, although he has throbbed hearts on a regular basis on British TV; he now pulls off the task, deemed impossible by every expert on Middle-Earth, of making a dwarf seductive. To be honest, the dwarves come across as a jumble of Brueghel faces, lit with grins, scrunched by scowls, and fronted by bulbous conks; only Armitage, as Thorin Oakenshield, the leader of the pack, earns consistent dramatic attention, and he brings the rumpus of the early scenes to a beautiful halt as he pauses to croon, in a yearning baritone, an anthem of dwarf-desire—“Far over the misty mountains cold.” Not before time, it must be said; Jackson has allowed one tea party to linger like a five-course meal, and such blithe elastication is the root of the movie’s fault. No one could quarrel with Jackson’s scheme to transform the three volumes of “The Lord of the Rings” into a trilogy of films. It was an obvious arrangement, crowned by “The Return of the King” and its eleven Academy Awards—“One for each ending,” in the words of Billy Crystal, our host on Oscar night. If Jackson couldn’t bring himself to bid the franchise farewell, his problem, with “The Hobbit,” is the opposite: how to get going? Like George Lucas, with “The Phantom Menace,” he is constructing a six-film saga in peculiar order. We thus begin not with backstory but, this being Tolkien, with backmyth—the legend of Smaug and the devastation that he wrought long ago. From here, we pass to the aging Bilbo (Ian Holm), and to his recitation of what befell him sixty years before; and from there, at last, we reach the point at which the novel starts. In all, it is three-quarters of an hour before the youthful Bilbo departs, adventure-bound. Because of that delay, there is something doughy and whimsical about the proceedings, as if we were present at the spinning of a yarn. Still to come, and interrupting the flow, is a layover in Rivendell, the stronghold of the Elves; an aery cameo by Cate Blanchett, as Galadriel (who is not in the book); and a dreadful, unfunny diversion into the doings of another wizard, Radagast the Brown (Sylvester McCoy), who drives a rabbit-powered sled and goes cross-eyed when he scores a hit of Gandalf’s bong. Jackson’s “Lord of the Rings” had the air of an urgent report, borne in desperation from a distant land. His “Hobbit” has many thrills, and rather too many spills, but it never sheds its bouquet of mere moonshine. Mind you, what a shine. “An Unexpected Journey” was shot in 3-D and filmed at forty-eight frames per second, as opposed to the standard twenty-four. This sounds miraculous, and you will indeed notice and marvel at the difference, but only if you happen to be a snowy owl who likes watching voles from a hundred and fifty yards. The rest of us will be reminded of high-definition television—better known, in my household, as a reason to avoid viewing films on TV, unless they contain characters named Woody and Buzz. HD has the unfortunate effect of turning every film into what appears to be a documentary about a film set, not just warts-and-all but carefully supplying extra warts where a wart has no right to be. There is something awry in the idea that Tolkien’s wondrous inventions—an entire history and landscape, plus trees of unknown languages, grown from one man’s fancy—should be transmitted through a medium newly and utterly bent on realism. When the imaginary is presented as fact, hard and hypervisible, right down to the popping buttons of a waistcoat, does the magic not drop off? December 2012 saw the release of the Hobbit in a 48fps 3D format, while the 2D version remains in the traditional 24fps format. There is also a non-High Frame Rate (HFR) 3D version available at selected cinemas. What the deal with 48fps? Frame rate: To sum up is the rate at which consecutive images display. Typically this is 24 frames per a second (fps) for motion video, while your home camera will take video at a higher rate allowing you to see Aunt Betsy's yellowing dentures in full detail. A higher frame rate translates to details that are not readily visible at 24fps being displayed in all there glorious detail or gory detail, depending on how you interpret it. Makeup, weird blue contact lenses and so forth all become visible as every flaw can be seen. Some consider this as "breaking the spell of a film"
While your eyes will grow accustomed to this higher frame rate, the end result of the crisp and vivid images is actually a lowered level of realism rather than an increased one. To me, everything seemed flat. The depth of field was lost. Instead of being immersed in another world, it feels more like watching CGI cut scenes from a video game. he's killed a lot of the magic of what makes a film entrance an audience if you will, at least in my opinion. I did find myself become more "immersed" in the 3 dimensional environment and all of these details—but to the detriment of the film and the narrative itself. Before I get into the writing side of this movie, I first have to address the 48 frames per second phenomenon. Now maybe I’m wrong and in 10 years every movie will be in 48 fps and we’ll look back at this 24 frames stuff as ancient history, the way my generation looked at Black and White films. And the way that generation looked back at films without sound. But I don’t know. I understand we’ve been conditioned on this frame rate for over a hundred years, and we’ve been led to believe that anything 30 frames per second or higher looks like home video, but that’s what this looked like to me. It looked like home video. No, you know what it looked like? It looked like those History Channel reenactments, but with like 100 times the production value. I mean for the first half of the movie, I couldn’t stop thinking about it. All I kept saying was, “This looks so cheap.” Not only because it looked like video but because it was so smooth and crisp you could see the make-up on the actors. You could see all the imperfections. Now I did start to get used to it as the movie went on, but I’d be surprised if James Cameron decided to shoot Avatar this way after seeing the footage (as he’d been hinting at). The difference is psychological, not visual — there’s what we are accustomed to, and then there's the new. We’re used to making certain assumptions about what we see on a screen. "Colors are not as rich on TV sets or desktop monitors,” said Banks. “The motion is not as smooth. Brightness is not as great. We've adjusted to that, and we accept it. So when we see a projection that is closer to reality than what we are used to, our brains go, 'Whoa!' and we get this 'hyper-real' sensation. I think that's what's happening to people. Things look unusually sharp [in The Hobbit], and we're seeing something closer to reality. "If people are frustrated, it's because this seems a violation of what has been considered normal," he continued. "Look at how people reacted when color was first introduced, or Hi-Definition, or Dolby sound. There were negative reactions to all of those at first, too. But now if you don't have them, you feel deprived." Where can you see the Hobbit in 48fps in 3D in Australia? Nine years ago, Peter Jackson completed his film adaptation of J.R.R. Tolkien’s The Lord of the Rings fantasy novels to cheers that circled the globe — plus 17 Oscars and $2.9 billion at the worldwide box office. Now, like Sam Gamgee at the conclusion of that gigantic achievement, Jackson says, Well, I’m back. Back again and back in time, to The Hobbit, the 1937 book in which Tolkien introduced Bilbo Baggins, Gandalf the Grey and the splendor and travails of Middle-earth. Having made three three-hour movies of the 1,359-page trilogy (not including appendices), Jackson has brought the same capacious vision and maniacal attention to detail — and perhaps the same lavish running time — to a three-film version of Tolkien’s earlier 287-page story. You could probably read The Hobbit aloud in less time than watching the three movies, after The Desolation of Smaug is released next December and the final installment, There and Back Again, is released a year after that. It’s another matter as to whether a parent with a flair for the dramatic could carve images into a child’s mind as vivid as the goblins and trolls and orcs — and Smaug the dragon — that come to plausible life in this first episode, called The Hobbit: An Unexpected Journey. And if children have seen the Rings cycle, they’ll want to revisit the actors, now older, returning to play younger versions of their characters: Ian McKellen as Gandalf, Ian Holm as the elderly Bilbo, Andy Serkis as the treacherous, piteous Gollum, Hugo Weaving and Cate Blanchett as the Elf royals Elrond and Galadriel, Christopher Lee as Saruman the White Wizard and, briefly, Elijah Wood as Bilbo’s nephew Frodo, whose honor and burden in the Rings films was to carry the One Ring to Mount Doom. By stretching a medium-length prequel into three long movies, Jackson is almost begging for his Hobbit to be compared to another movie trilogy: episodes 1 through 3 of Star Wars, which both expanded and diminished the achievement of the 1977–83 films. So, you ask, is An Unexpected Journey better than The Phantom Menace? Easily, yes — it would take a real effort to make it worse — though the appearance of the wizard Radagast (Sylvester McCoy), a flighty Doctor Dolittle, has stirred the unhappy memory of Jar Jar Binks in some early viewers. Does the new movie boast spectacular visual effects? Undoubtedly. Does Jackson’s shooting at 48 frames per second instead of the standard 24 impose a unique clarity on The Hobbit? Absolutely, and at times almost blindingly so. But the movie lacks majesty. Grand in parts, it is too often grandiose or grandiloquent, and the running time is indefensible. It’s like the three-hour first cut, assembled by editors, of even the most modest film before the director says, “O.K., now let’s make a movie out of this.” This Hobbit plays like a rough cut, with no deleted scenes left for DVD. This scrupulous rendering of the story reminds reader-viewers that it involves quite a bit of trudging through hostile terrain and throws this Fellowship into a series of scrapes before the party is rescued by Gandalf, who at this stage of his 7,000-year life was a bit stingy and capricious in his use of magic spells. And so faithful to the book is the movie that Middle-earth geeks will be flummoxed by the few changes (replacing Tolkien’s songs for the elves and goblins with other airs) and deletions (like Bilbo’s dismissive line to Gandalf — “But please come to tea … Come tomorrow! Goodbye!” — that sets the whole quest in motion). In any adaptation of a beloved book, there’s a fine line between fidelity and fealty, care and obsession. 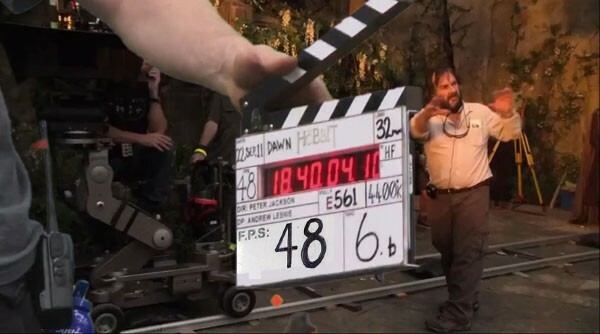 Jackson originally assigned Guillermo del Toro, the Mexican master of Pan’s Labyrinth and the Hellboy films, to direct the Hobbit films (then planned as just two feature-length parts). Then Jackson took over; he wanted The Hobbit for himself, just as he had possessed the Rings movies. In this backstage story, there’s a touch of the sad, covetous Gollum, who kept the Ring for ages and was corrupted by its possession before losing it to Bilbo and then Frodo. Not that Jackson is Gollum — he’s a more likely Gandalf — or that the movie should be called The Hoard of the Rings. But the director’s nearly two-decade involvement with filming the Tolkien books seems to have stoked a belief that he should put virtually every scene of The Hobbit onscreen. Once or twice he inflates a few sentences, like the thunder battle, into huge FX production numbers. In editing a film, a director has to kill some of his darling scenes for the duty and glory of entertaining 100 million children and adults. Watching this plus-size Hobbit, viewers have to do their own editing, savoring the strong scenes and napping through the weak ones. Oh, Jackson might sarcastically reply, and I suppose you’d want the 13 dwarves in Tolkien’s story pared down to seven, because that number was plenty for Walt Disney (the animated feature Snow White opened exactly three months after The Hobbit was published). The answer would have to be yes, at least on the evidence of the first film; the dwarves get a great deal of time without more than two or three registering as distinct personalities. In this mission — merely a field trip, compared with the earth-saving pilgrimage undertaken in The Fellowship of the Ring — Thorin enlists Gandalf, who brings along young Bilbo (Martin Freeman), whom he advertises to the dwarves as a pre-eminent burglar. 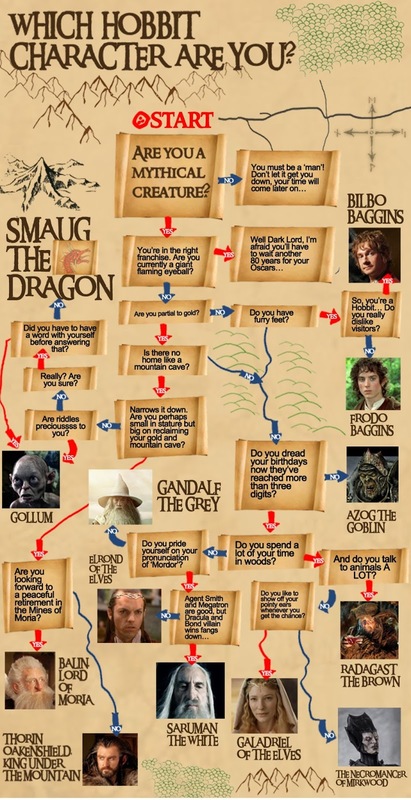 Bilbo has not that skill nor the taste for mortal adventure that the journey entails. But eventually, or just before Christmas 2014, moviegoers will discover that the complacent Hobbit has reserves of heroism. The flashback that begins the film, of the dwarves’ defeat by Smaug, is brilliantly choreographed — the movement of both action and camera — as is a climactic confrontation with the goblins. In the intervening few hours, though, things can get pokey and silly. A good time to end a scene is when the slowest viewer says, I get it; but Jackson, so determined to deploy all his CGI resources, often can’t let go. 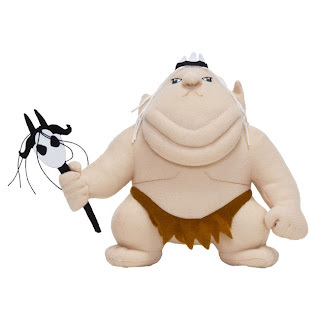 He leans heavily, as Tolkien did, on ethnic stereotyping: the dwarves are more or less Scottish (hardworking and greedy), the trolls Cockney (comically loutish), the blond, refined Elves super-Scandinavian. Stately and twee, the Elves inhabit a kind of Middle-earth Renaissance faire. The reunion there of McKellen, Lee, Weaving and Blanchett is not epochal but perfunctory, a tepid attempt to convene some of the star personalities of the Rings movies. The Hobbit‘s most startling innovation — shooting at 48 frames per second — is also the most challenging. Filmgoers have been trained for almost a century to watch movies at 24 frames per second. Doubling the rate keeps the image from blurring when the camera moves, which is ideal for Jackson’s action sequences but disorienting in the more static interior scenes, where the scenery upstages the characters. The clarity of the image is sometimes magical, occasionally migraine-inducing. (Mike Ryan of the Huffington Post wrote that “the picture is so clear that in one scene I could see Ian McKellen’s contact lenses.”) At first, in the Smaug battle, I thought I was watching a video game: pellucid pictures of indistinct creatures. After a while my eyes adjusted, as to a new pair of glasses, but it was still like watching a very expensively mounted live TV show on the world’s largest home TV screen. You wait two hours for the meeting of Bilbo and Gollum, and it satisfies all expectations. We know from The Lord of the Rings that this emaciated figure of doomed dementia was once the Hobbit Sméagol. After a half millennium in subterranean solitary confinement under the Ring’s influence, he is a sibilant wraith, arguing with himself as Norman Bates did with his late mother. Like Frodo’s encounters with Gollum, Bilbo’s game playing reveals the pathetic future of any Hobbit who holds the Ring. Serkis, aided by Jackson’s CGI gurus, revives the old sick poignancy in a creature who is more haunted than malevolent (and he is very malevolent). In an adventure, villains usually get the best roles; add a touch of madness and the result can be magnificent maleficence. Serkis soars as Sméagol sinks, and if the next two Hobbit films hold hope, it is that this Peter Lorre–esque skulker will get more chances to work his evil magic. Given the fitful inspirations and frustrating longueurs of this middling Middle-earth fable, one wishes that Tolkien had written a darker companion volume called The Gollum. Now that would be worth a trilogy. The Hobbit: Why Are There No Women in Tolkien’s World? It has, at this point, become a bit obvious to point out the lack of female characters in children’s entertainment: the Pixar movies, the morning cartoon shows, even the Legos that they play with — unless, of course, the product in question was designed specifically for girls, which raises another set of issues about self-reinforcing stereotypes. But I was not prepared for the extreme skewing of the sexes in The Hobbit, which has been the No. 1 movie at the box office for the past three weeks. 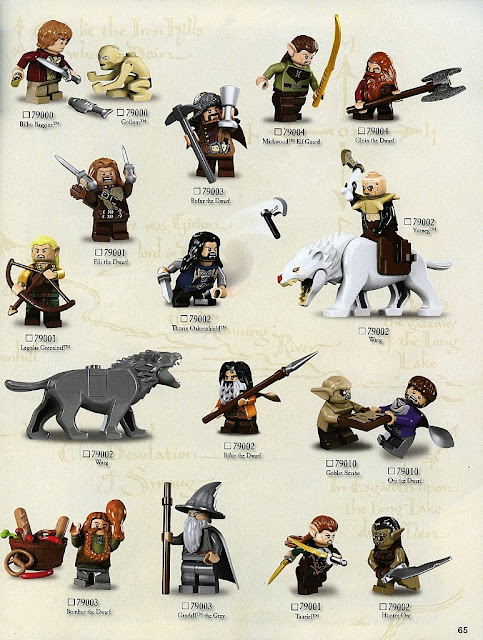 I did not read The Hobbit or the The Lord of the Rings trilogy as a child, and I have always felt a bit alienated from the fandom surrounding them. Now I think I know why: Tolkien seems to have wiped women off the face of Middle-earth. 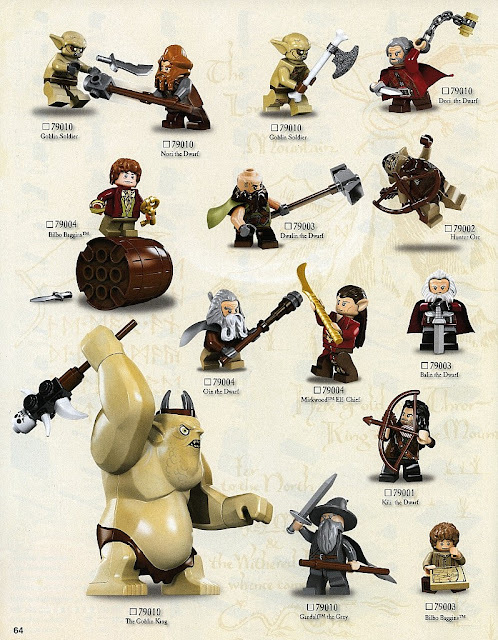 I suppose it’s understandable that a story in which the primary activity seems to be chopping off each other’s body parts for no particular reason might be a little heavy on male characters — although it’s not as though Tolkien had to hew to historical accuracy when he created his fantastical world. The problem is one of biological accuracy. 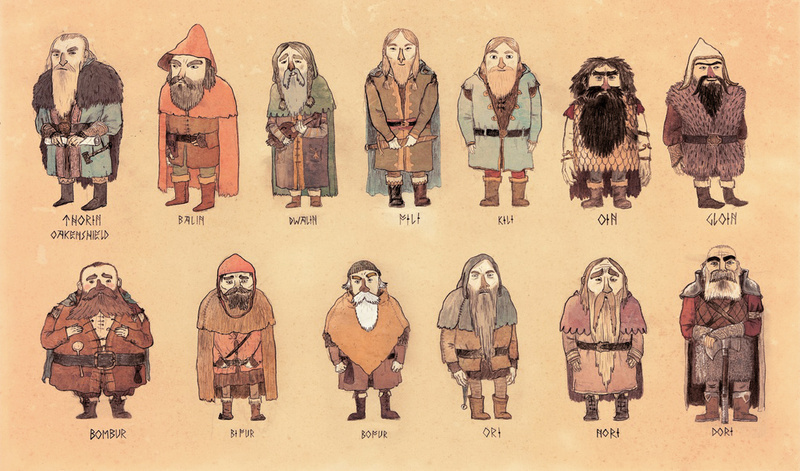 Tolkien’s characters defy the basics of reproduction: dwarf fathers beget dwarf sons, hobbit uncles pass rings down to hobbit nephews. If there are any mothers or daughters, aunts or nieces, they make no appearances. Trolls and orcs especially seem to rely on asexual reproduction, breeding whole male populations, which of course come in handy when amassing an army to attack the dwarves and elves. There are, no doubt, many who know the Tolkien oeuvre much better than I who will protest my complaint. “There are very few women, but those that there are have great power,” one such aficionado has reminded me. Others will point out that there are plenty of modern classics with hardly any female characters enjoyed by both boys and girls, from Tintin to The Muppets. And then there is the argument that none of this should matter, that it’s not just fiction but fantasy after all. But Peter Jackson, the director of The Hobbit, has said, “To me, fantasy should be as real as possible. I don’t subscribe to the notion that because it’s fantastical it should be unrealistic. I think you have to have a sense of belief in the world that you’re going into, and the levels of detail are very important.” I should think that would include — especially in an intergenerational saga — something as important as the perpetuation of species, whether furry-footed or not. Peter Jackson's adaptation of Tolkien's novel grossed $5.925 million in Australia to claim the all-time Boxing Day top spot over the three films in the Lord of the Rings trilogy - Return of the King ($5.287m), Two Towers ($5.229m) and Fellowship of the Ring ($4.121m). The Hobbit's results also make it the third biggest opening day of all time, behind Harry Potter and the Deathly Hallows: Part Two ($7.092m on 727 screens) and this year's blockbuster The Avengers ($6.004m on 621 screens), and the biggest opening day result without midnight screenings. The first installment in the Hobbit trilogy has led a record day in Australian cinemas as Peter Jackson beat his own mark to claim the largest Boxing Day release ever. Australia's largest film exhibitor, Event Cinemas, posted its biggest day's trading on record, with business up 69 per cent on Boxing Day last year and higher than any other individual day in the company's more than 100-year history. Jackson's film The Hobbit: An Unexpected Journey was the chief lure, drawing in $5,925,000 in one day to record the third biggest opening day ever, behind the final Harry Potter film, Harry Potter and the Deathly Hallows: Part 2 ($7,092,000) and 2012's biggest movie, The Avengers ($6,004,000). Unlike the other two films, The Hobbit managed its opening day result without midnight screenings and despite opening on a smaller number of screens, debuting on 560 screens compared with 727 screens for Potter and 621 screens for The Avengers. 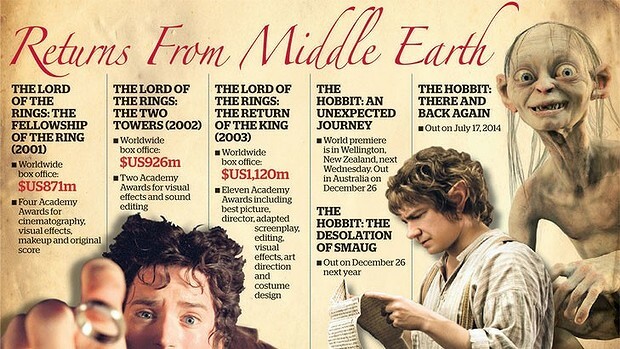 The all-time Boxing Day podium remains entirely populated by Peter Jackson's movies, as The Hobbit took top spot over the three films in The Lord of the Rings trilogy, with 2003's Return of the King the previous record holder with a box office gross of $5,287,000, followed by 2002's Two Towers ($5,229,000) and 2001's Fellowship of the Ring ($4,121,000). Despite Hugh Jackman, Russell Crowe, Tom Hooper and Sir Cameron Mackintosh attending a big Australian premiere last week, Les Miserables was unable to challenge for top spot, opening at No. 2 with takings of $1,820,000. The third biggest film of the day was Disney's Wreck-It Ralph, which grossed $1,145,000 The all-ages comedy Parental Guidance opened in fourth place. The result for the cinemas marks a reverse in traditional cinema box office logic. At 169 minutes and 157 minutes respectively, the two biggest drawcards are both very long movies, with feature films lasting 90-100 minutes on average. Once pre-screening advertisements and trailers are included the sessions for each film last more than two and a half hours. Yet where longer durations used to mean fewer sessions in a day, and thus lower takings, the advent of premium cinema experiences has seemingly provided a solution. "The nature of these films plays to Gold Class," said Event Cinemas sales director Kristie Atkins, who suggests the length of these films helps people justify the added expense of Gold Class tickets as they seek "more comfortable seats and waiters bringing drinks around". Event Cinemas reports that 30 per cent of the box office on Boxing Day came from Vmax and Gold Class sessions despite the smaller number of tickets available for those sessions. Pre-sales for Gold Class and Vmax tickets are at record levels for the coming weeks. First film in Peter Jackson’s epic “The Hobbit” Trilogy takes in an estimated worldwide $223 million in its opening weekend. The CinemaScore coming out of the weekend was an overall A from all audiences, with an A+ from moviegoers under 18. Opening day showings, starting at midnight on December 14, were sold out, some weeks in advance, and thousands of fans waited in line to be among the first to see the movie. 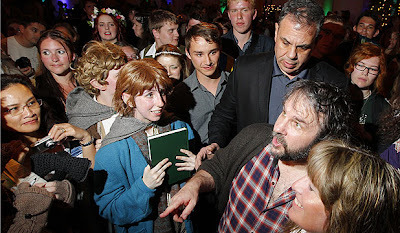 Peter Jackson’s Video Blogs on the making of The Hobbit: An Unexpected Journey continues in this 10th installment, covering the movie’s Premiere in Wellington, New Zealand. The video starts from the period 25th of November, a few short days before the world premiere. The movie is described as digitally dripping wet, with the crew still wrapping up the Dolby mix. The theater to house the world premiere had 26 surround speakers which facilitated a 360 degree movement of sound. A giant Gollum suspended on the ceiling of Wellington airport greeted visitors The dwarves disembarked from a plane and the remaining cast were reunited for the premiere in Wellington. 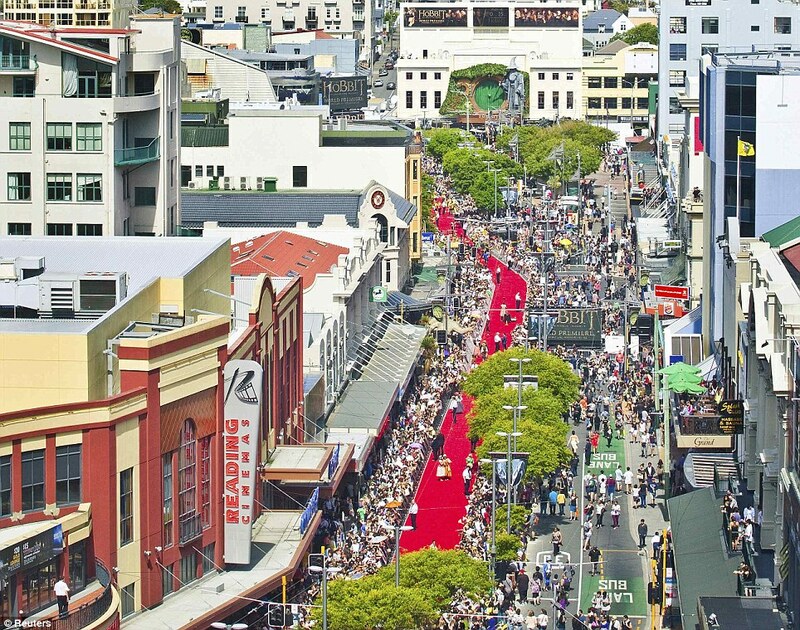 422 meters was the Guinness record for longest red carpet which was set for 2003 Return of the King premiere in Wellington. The red carpet this time doubled around the venue in an attempt to beat the previously set record. Looking for the first reviews of the Hobbit movie, well you will have to wait a bit longer. 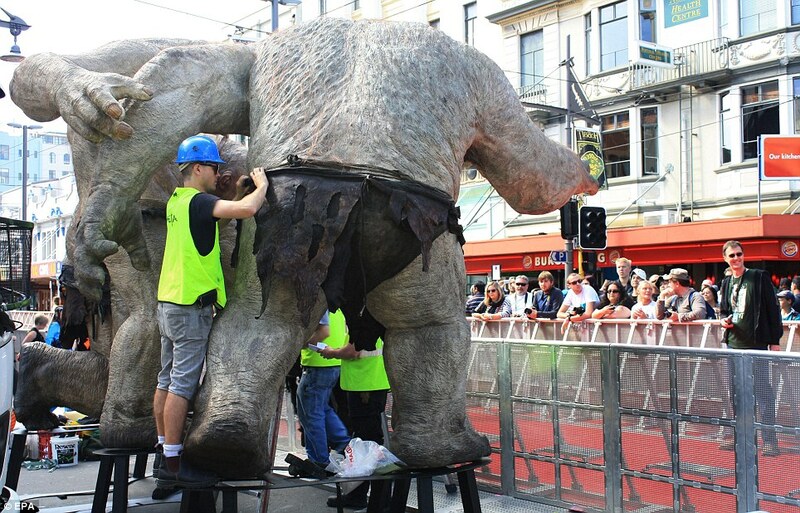 Or at least until the US premiere 14 December, reviewers have been asked to hold off by Peter Jackson. The main review thus far that has slipped through the cracks is by Ethan Sacks, NY Daily. "48 frames-per-second format, twice the industry standard. Critics who saw a trailer earlier this year were unimpressed, but after a minute or two of adjusting, the higher resolution is eye-popping, similar to discovering HD television for the first time." 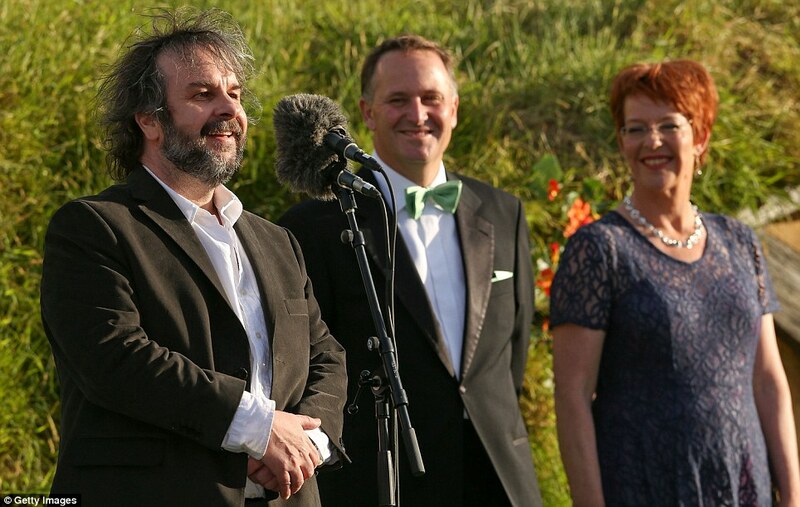 Director Sir Peter Jackson, who was accompanied by his daughter Katie on the red carpet, said it was a logical decision to host the premiere in New Zealand, where filming took place. 'It's the home crowd isn’t it? You can't do better,' he told reporters at the premiere. 'I do know that if I didn't have a movie here for the premiere, I’d be in awful trouble. I’d be in the poo, as we say,' the director joked. He continued: 'This is an incredible experience because you spend so long shooting a movie where you're just focusing on the film and you want to keep everybody out. Elijah Woods, who was just 21 when the first movie Lord of The Rings came out took up the role again which made him a star, Frodo Baggins. The star proclaimed "This is echoing in the past for me"
It's been about 10 years since the last installment of Lord of the Rings, with Return of the King screening in 2003. 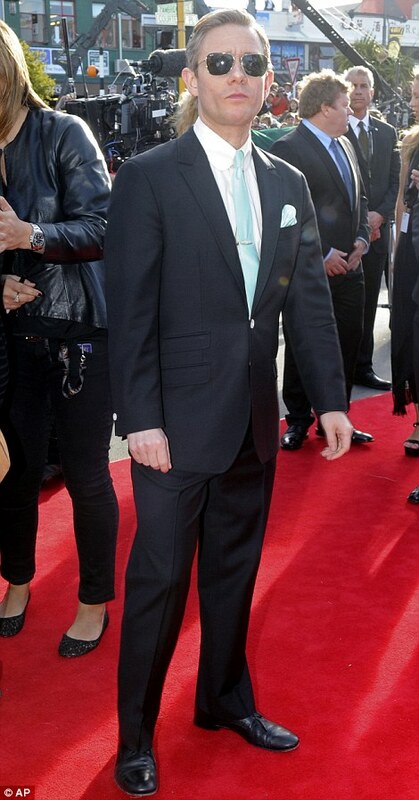 Approximately 100000 fanboys and girls showed up for the premiere in NZ on Wednesday 28th of November. The glamorous Cate Blanchett was in attendance along with her 8 year old son. Dressed in an unusual colour block floor-length gown, Cate looked every inch the movie star as she attended the highly anticipated premiere. With a red sheer top over her white and black dress, the 43-year-old actress demanded all the attention from the crowd as she joined her mainly male cast on the red carpet, but stayed as cool as cucumber as the reported 100,000 people welcomed her. But her dapper date for the evening - cute son Roman dressed in a grey blazer - may have been a little overwhelmed by all the screaming fans, as the youngster clung to his glamorous mother while she posed for photographers. The rest of the A-list cast were all in attendance, with Elijah Wood, Martin Freeman, Andy Serkis, Richard Armitage and Hugo Weaving leading the pack. 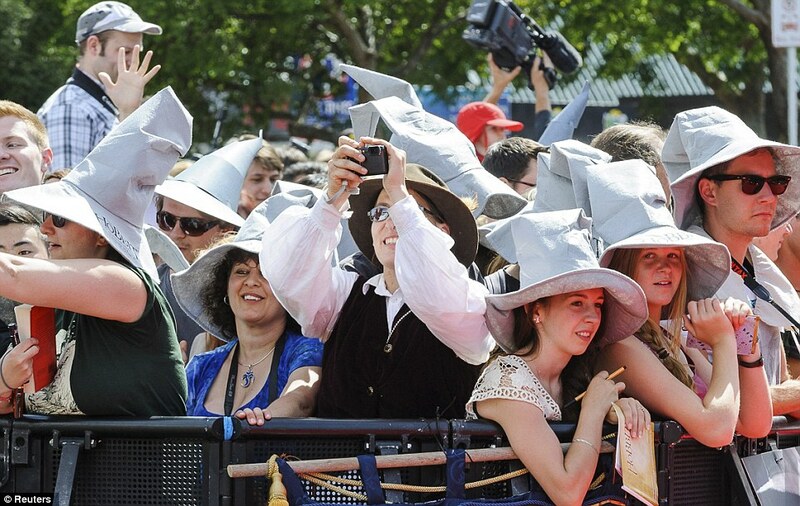 Although noticeable absent was Sir Ian McKellen, better know as Gandalf, who couldn't make the trip to New Zealand but thanked fans for their enthusiasm via a video message which was played to the crowd. Evangeline Lily is not in this installment, but will play the role of Tauriel in the next two installments of The Hobbit. THERE is a lot at stake when the first Hobbit movie premieres this week - for a director, a couple of Hollywood studios, even for a country. Director Peter Jackson has reunited the team behind the Lord of the Rings movies for the first instalment of a new trilogy that Hollywood insiders estimate will cost up to $1 billion to make and market. The long-awaited adaptation of J.R.R. Tolkien's fantasy novel, about Bilbo Baggins' adventure with 13 dwarves to recover treasure guarded by a dragon named Smaug, makes it debut in Wellington on Wednesday. And there is much riding on its being a success. For a start, even with the massive goodwill generated by Jackson's return to Middle Earth, The Hobbit: An Unexpected Journey is a financial gamble for Hollywood studios Warner Bros and MGM. The trilogy will also have a multibillion-dollar impact in New Zealand, given how much The Lord of the Rings boosted tourism. From 1999 to 2004, spending by international visitors doubled to $6 billion a year. But probably the biggest risk is for Jackson's revered status with millions of Lord of the Rings fans. As George Lucas discovered when he returned to the Star Wars saga with The Phantom Menace, devoted fans are quickly disenchanted when a movie does not match a director's own high standards. New Zealand director Jackson overcame countless setbacks while filming the Lord of the Rings trilogy. The movies went on to gross almost $3 billion worldwide and won 17 Oscars. It is almost unthinkable The Hobbit could be so successful on every level, but Jackson is actually being even more technically and creatively adventurous this time round. He has shot the movie in 3D at 48 frames-a-second rather than the usual 24 to give audiences a visually richer experience. 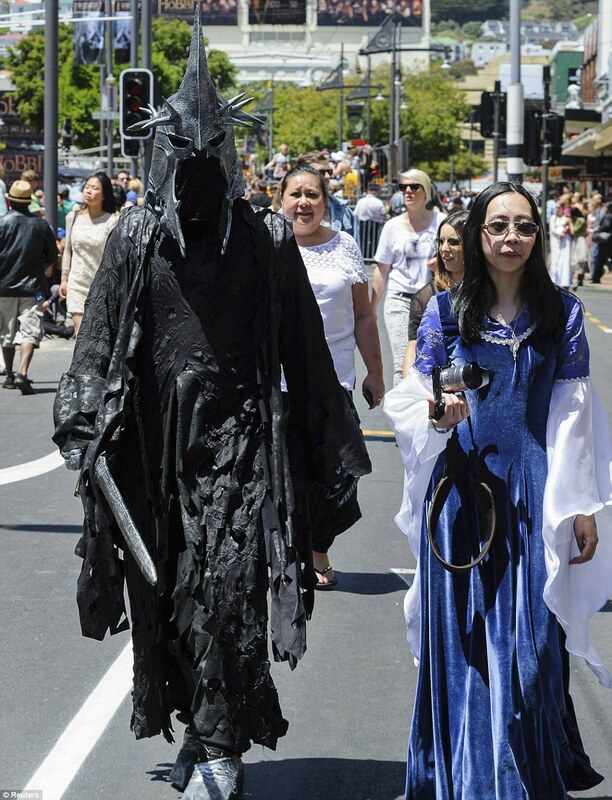 An unexpected journey across town lit up the night for hundreds of the world's keenest Tolkien fans. Film-maker Sir Peter Jackson and actor Elijah Wood, who was Frodo in The Lord of the Rings trilogy, made a surprise appearance tonight at a Hobbit pre-premiere party in Wellington, organised by fansite TheOneRing.net. Jackson told fans the finishing touches to The Hobbit were completed only yesterday, and the final edit was screened to a select group of cast and crew that night. ''Elijah saw it last night. Unfortunately that means we'll have to kill him,'' Jackson said. Wood - with bodyguard in attendance - greeted all those fans dressed as Frodo, and both he and Jackson signed autographs and posed for photographs. At least 500 people attended the party, with the vast majority in elaborate costume. About 100 of that number were on a dedicated Hobbit premiere tour. Organiser and TheOneRing.net founder Erica Challis was thrilled the stars had decided to attend. Another surprise was in store today for many of the 2000 people invited to Wednesday's premiere, when it turned out that about 1250 of them will not be seeing it with the stars at the Embassy Theatre, which was decked out with Dolby's new Atmos sound system last month especially for the event. Instead, they will watch it at the nearby Reading Cinema, which is closed for the day. After the premiere, attendees are invited for post-premiere drinks at Foxglove's Queens Wharf Ballroom from 9.45pm. Wristbands must be shown on entry. The forecast remains good for the afternoon's walk down the red carpet. MetService is forecasting a dry day with patchy cloud, and northerly winds of 30 to 40 kmh. The expected high is 19 degrees Celsius. "NEW Zealand taxpayers lent a $67.1 million helping hand via tax rebates for the making of Peter Jackson's movie The Hobbit in the first two years of actual production, according to its financial statements"
The movie, produced by Warner Bros Entertainment subsidiary 3 Foot 7, reaped $46.9 million from New Zealand's large budget screen production grant in the 12 months ended March 31, according to statements lodged with the Companies Office. That added to the $20.2 million tax rebate it received in 2011, the first year it got the subsidy. Shooting on The Hobbit: An Unexpected Journey wrapped in early July, meaning the company should be able to claim a further rebate in the 2013 period. The subsidy over the two years amounts to about 14.6 per cent of the $459.6 million production cost incurred over the 2011 and 2012 financial years, just below the 15 per cent of locally incurred costs that can be claimed back in tax under the scheme, known as qualifying New Zealand production expenditure. New Zealand is coming under pressure to raise the subsidy as the weak US dollar eats into Hollywood studios' margins. The Hobbit movie will be divided into an epic three parts...for those who love their movies long and detailed and prefer no toilet breaks this is a godsend. 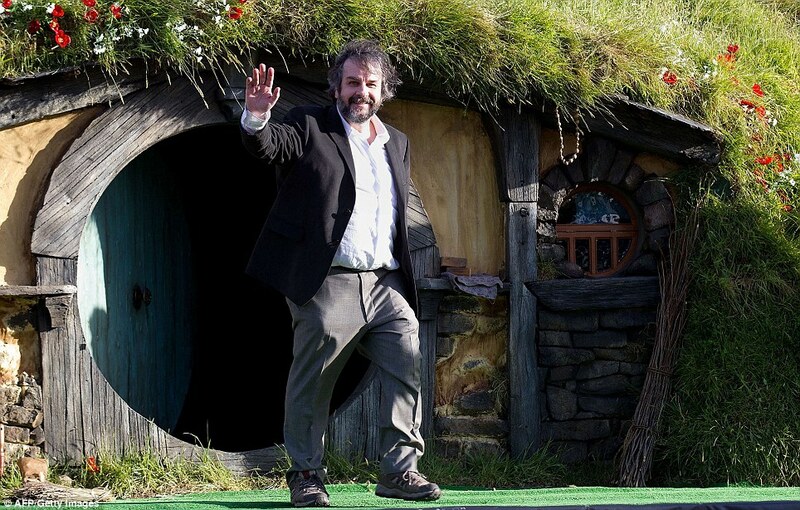 Director Peter Jackson, took home over $6 billion in revenue which included movie tickets and DVD sales from the last three films collectively. In numbers that is 6,000,000,000. And earned 17 Oscars...not too shabby. The final film in Peter Jackson’s trilogy adaptation of The Hobbit, by J.R.R. Tolkien, now titled “The Hobbit: There and Back Again,” will be released worldwide on July 18, 2014. The title of the second installment in the franchise will be “The Hobbit: The Desolation of Smaug,” and the film will be released on December 13, 2013. The first film in the trilogy, “The Hobbit: An Unexpected Journey,” opens this holiday season, on December 14, 2012. Shot in 3D 48 frames-per-second, the trilogy of films will be released in High Frame Rate (HFR) 3D, other 3D formats, IMAX and 2D. 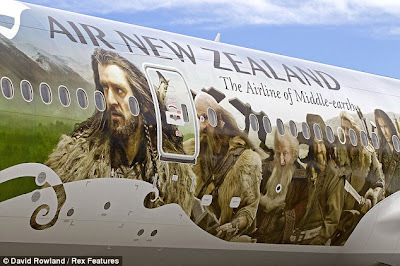 Air New Zealand has billed it self the 'airline of middle earth' and painted the faces of hobbits/dwarves on the side of a Boeing 777. Not looking so small now, eh?